Do you know how quick your email delivery is? Undoubtedly you MUST know. A regular newsletter may not be the one your customer keep looking at their mailbox, However certainly a password reset or purchase order confirmation or a sign-up email, where they will expect instant communication. If they don’t get it on time, they get worried and contact your support. In such scenario your support staff also gets additional load, your customer may also loose confidence in your brand. transactional emails such as Password reset, Account activation, OTP, Emergency system notifications are extremely critical to your business and they should arrive in user mailbox INSTANTLY. Sending lot of emails is not a big problem for anyone, even a spammer can send tons of emails in few minutes, but all those emails certainly get flagged by SPAM/Junk by ISPs. For a successful transactional email solution, All matters is the good sender reputation and Instant delivery only to the Inbox. We focus on email delivery and the time it takes. Even a few seconds’ delay is not acceptable with transactional emails. Aritic Mail does complete focus only on transactional emails services. Hence, we see much higher engagement when compared with those who send both marketing and transactional emails. Inbox providers like Gmail, Yahoo, AOL, Hotmail or others consider engagement email as top key to ensure greater deliverability. As we only do transactional email business, Our sending reputation at ISPs side has been historically proven very good and which also ranks us for instant delivery. Looking for dedicated IP to secure our sending reputation? Dedicated IP may not be a solution for all, but yes there is a genuine need when data security requirement is mandatory. We have seen lot of our customers from Health care / Banking domains need to send data containing personal information (PI), card data, or personal health information (PHI), must have dedicated sending environment. We also agree that they must have complete control on their sending infrastructure. We offer dedicated IP on the case basis. Our Global infrastructure is highly redundant and spreaded over global datacenters. With our geographical load balancing, customer get high speed and lowest latency on our platform . Data security is always our one of the top most requirement for that data centers, Our datacenters are secured with N+2 redundancy and certified to ISO ISO 27k standards. We take care of all the tricky parts like IP reputation, blacklists, reverse DNS, feedback loops, and other such low level protocols. 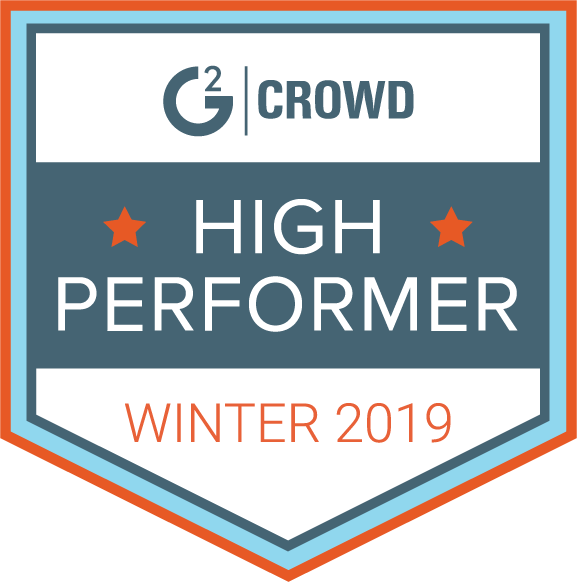 You, on the other hand, can seamlessly get a correctly configured system with high-end delivery speed. Easy and quick setup, straight and simple instructions, and a guide library for all that you want to know about. See and analyze every single detail- whether about the undelivered emails or custom segments or click through data. Get the right data to understand why your email delivery failed. Get an insight into emails that were suppressed automatically to keep your sending reputation intact. Simultaneously, take a look at the messages that were dropped so that you know what is impacting your email delivery. An effective delivery strategy depends upon how your email engagement is set. 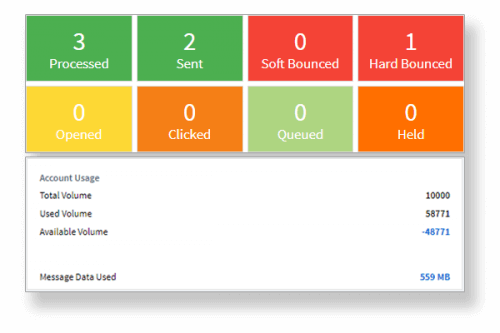 For analyzing effectiveness of a email engagement, you need to closely track the open rates, clicks, unique clicks, and other such insights on Aritic Mail dashboard. Know the major shifts in trends when sending emails with Aritic Mail control panel. Know the changes in specific date ranges and display the same as per your convenience and needs- either by dates or boil down to hours and minutes. Set up powerful segmentation for emails with email tags. You can either opt for a A/B test or go for deeper cohort analysis. If you use webhooks, the tags will automatically get encoded into the webhook. This means tying email back to your data happens in a snap. Transactional email systems are not like any legacy email platform. They are supposed to be responsive, fast and easy to integrate. For a perfect transactional emailing system, we built powerful API libraries which supports top programming languages such as Ruby, Rail, Java, Node, PHP and many more. Our comprehensive API integrations docs helps developers to go live in minutes. To start with Aritic Mail transactional services, you can just generate your SMTP credential and start using it and then move on to our more robust API integration at your convenience, or you can straight forward go for into our full API integration using the client library of your choice. With comprehensive set up guides and API documentations, things are pretty easy on Aritic Mail. 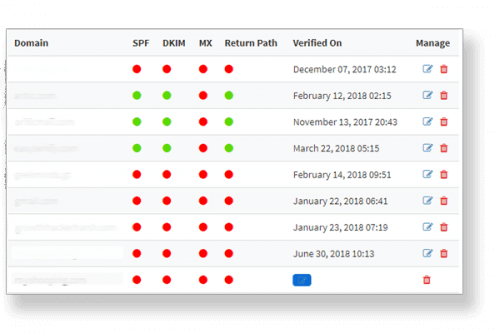 Our API explorer enables you to test any of our API calls against your account so that you get an idea what the request looks like and how the response will appear with actual data. Using the concept of unique credentials each applications, Aritic Mail helps in organising your transactional emails into different logical groups with various credentials and keys as per your environments or applications. This gives you focussed reports, limited access API keys and a simple way to collaborate with your team. Eliminate the support request virtually by empowering your customers to know instantly when they have made a mistake with the email address by looking into instance bounce responses. Similarly, you customers will know quickly when an invite is accepted (Email opens) by their end users. We understand setting up tricky DNS records can be a bit confusing for anyone and if you make an error, it takes down your email reputations. Our built-in DNS tool helps you to troubleshoot domain errors and improve deliverability. Status page gives you information through an API to keep you updated throughout with information about your own application and dashboard. Aritic Mail advanced Incoming email processing engine helps you to handle your incoming emails and forward them actively to your application. We support multiple end points to forward incoming emails such as HTTP endpoint (webhook), other SMTP servers, or email address. Our inbuilt configuration spam filtering sensor also scans all your incoming email against the virus and malicious links before processing to your application. The spam filtering sensors are highly capable of performing security scan and taking decision whether to hold, discard such emails from system in order to prevent your application.